In Sage 300 ERP (formerly "Sage ERP Accpac"), reconciling your Accounts Payable, Accounts Receivable, Inventory, and Bank accounts can be a nightmare if you don't control which transactions can go in and out of those accounts. Surprisingly, the answer to this is quite simple, yet extremely underutilized – set up your accounts to be "Control Accounts." 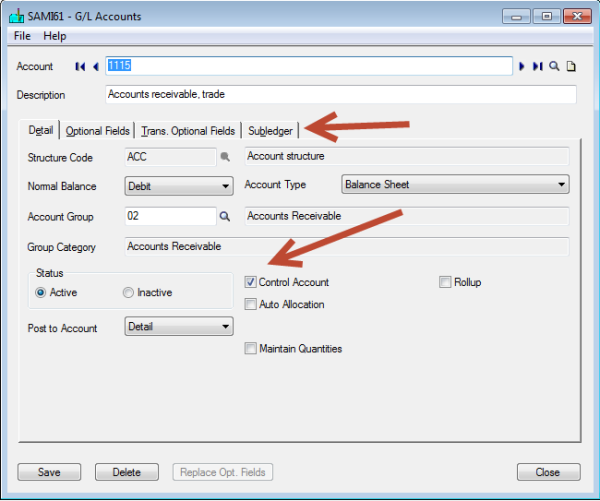 A Control Account will only allow specific modules (which you designate) to post to that particular account number. Traditionally, you want limit these transactions to modules that are defined by what the General Ledger account relates to. 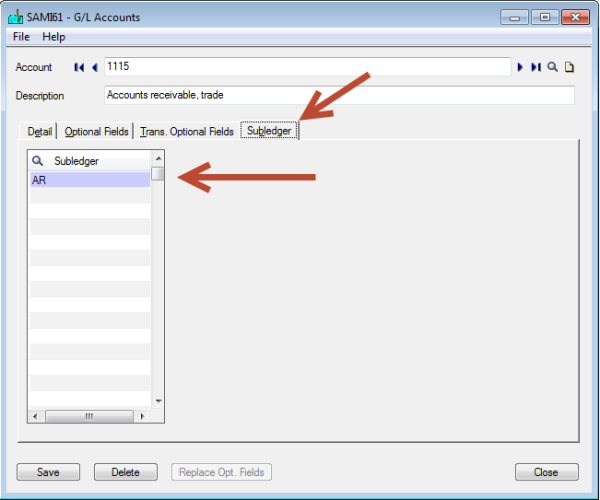 For example, you would only allow the AR subledger to post to your Trade AR account (as shown below). Doing this will make it impossible for someone to mistakenly book any other transaction to this account (such as a Journal Entry), which means that once all transactions are posted at month end you shouldn't have any issues agreeing your Agings to your GL balance. Test this out on your Trade accounts and you'll notice that your month end closing process is much more efficient!